Silk Secrets One Minute Hot Oil Treatment claims to moisturize, revitalize and refresh hair while adding shine to hair after a minute of application. It can be bought on Watsons. I've got my hair rebonded and I needed to condition it but the one minute hot oil treatment that I'm used to was not available so I bought Silk Secret One Minute Hot Oil Treatment. 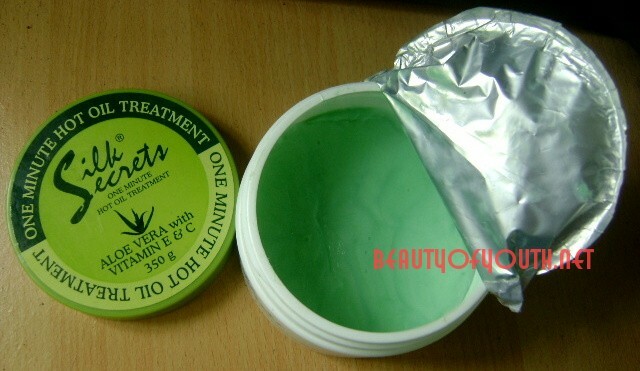 It made my hair soft and smell good but caused my hair to fly away and wave. I didn't really like that effect on me because the other hot oil treatment that I've used retains my straight hair. Shampoo hair and apply Silk Secret One Minute Hot Oil Treatment thoroughly. Massage hair and leave it on hair for one minute then rinse. It can be used daily. 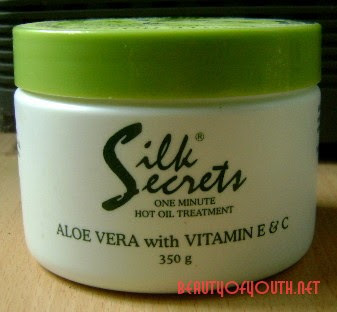 It contains Aloe Vera, vitamin E and C.
It makes my hair softer. It is sealed with a foil. It made my hair fly away and wave.